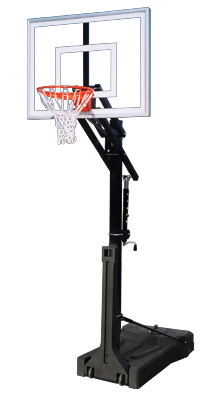 First Team, OmniJam 2, Premium Portable Adjustable basketball system. 4" square EZ crank pole, 36" x 48" acrylic backboard, recreational flex goal. Large poly balast has a 500lbs sand capacity. Lifetime warranty.